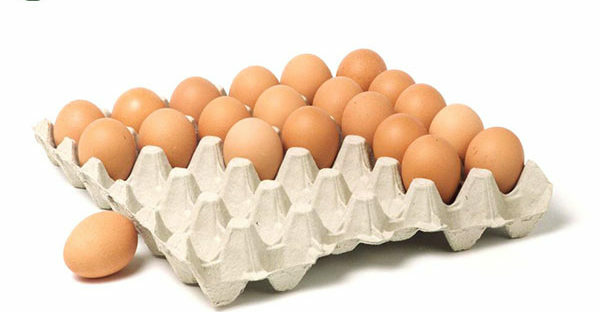 Small egg tray machine is a popular egg tray manufacturing business plan among investors. It is widely used in chicken farm, hatchery, supermarkets, egg sales market, civil, food factories, etc. 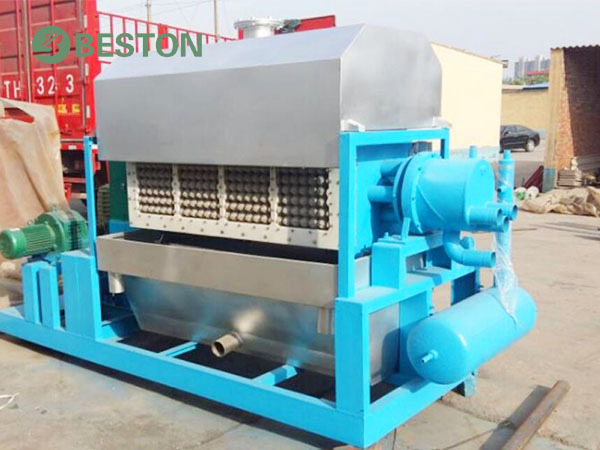 Beston Machinery is a professional egg tray machine manufacturer in China, which is always absorbed in designing and producing all kinds of pulp molding equipment with the most advanced technology. 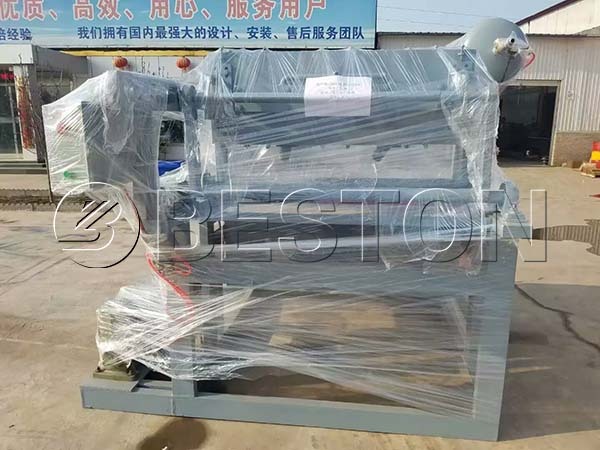 With the aim of maximizing the customer benefits in the light of their circumstances, our company has evolved a chain of small egg tray making machines for sale. Through continuous efforts, our products have been favorably exported to many countries and admired worldwide, such as South Africa, India, Algeria, the Philippines, Malaysia, etc. As a general rule, we classify the machines with hourly output of 2000 pieces or less as small egg tray machine. In general, 3 to 6 forming molds are employed in small-scale egg tray machines. That is to say, 3 to 6 egg trays can be produced each time. It mainly refers to the single-sided and four-sided rotary pulp moulding machine, such as BTF-1000, BTF-1500. 1. Simple, convenient and fast installation. 2. High security and easy to operate. 3. Light weight, compact structure, and small size. 4. High efficiency and long service time. How to Choose A Small Egg Tray Making Machine? The capacity of an egg tray production line is mainly determined by the quantity of egg tray molds. We can provide single-sided, four-sided, eight-sided and twelve-side rotary pulp molding machines. With 3 to 6 pulp molding dies each side, there are 3 to 72 molds in total. The number of moulds is the first obvious influencing factor of egg tray machines. As for small egg tray machines, there are 3 to 16 egg tray moulds and the output ranges from 1000 to 25oo piece per hour. 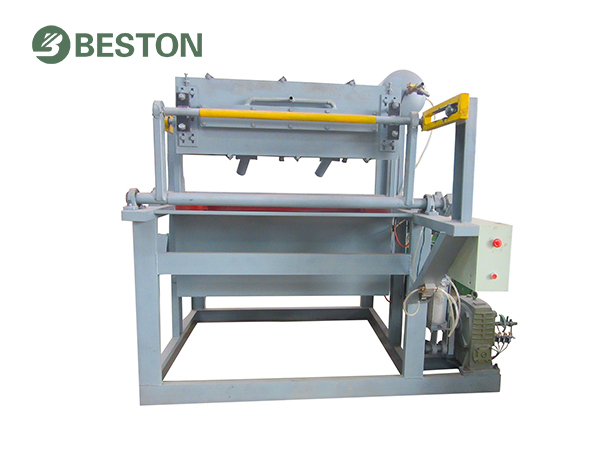 Beston small egg tray machines are energy-saving. Taking BTF-1000 as an example, the production is more than 1000 pieces per hour, while the total power is less than 49 kW. 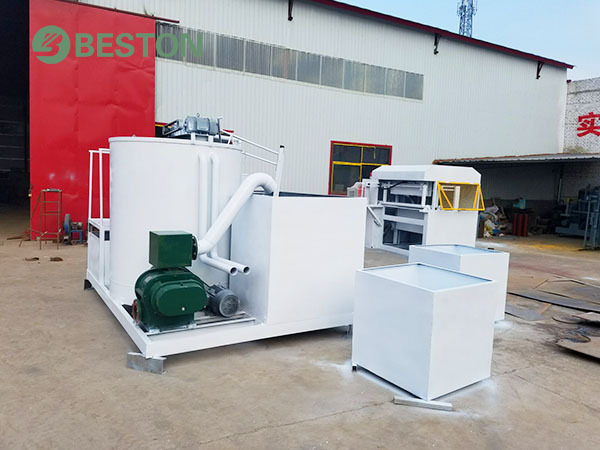 The overall dimension is about 2.3× 1.7× 1.6 m so that the main workshop covers an area of about 30×20 m. Besides, we also offer an integrated pulping system to save more space. Meanwhile, it is more convenient to transport. More importantly, the layout can be adjusted according to the current conditions. The operating speed also varies from 7 times to 32 times every minute due to the different scales. Accordingly, the output ranges from 1000 to 9000 pieces each hour. In addition, our egg tray moulds are equipped in a rotary way so that the forming section can work automatically. In this way, the working efficiency and safety are greatly raised. Just as all egg tray production process, the small-scale production line is also made up of pulping system, molding system, drying system and packing system. The main equipment includes hydraulic pulper, pulp refiner, pulp molding machine, air compressor, vacuum pump, etc. 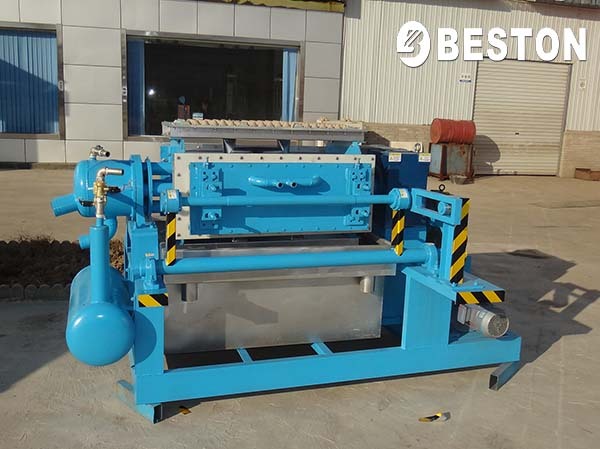 The mechanical equipment makes up the first two necessary systems of egg tray making machine. We can provide a high-automation integrated pulping system to save space and improve the working efficiency. Among the various drying and packing modes, natural drying and manual packing are preferred by small-scale investors to largely reduce the investment costs. In addition to the cost-effective configuration for small egg tray machine, we certainly offer a more efficient egg tray dry line to accelerate the drying speed. Besides, a packer machine can pack the end products compactly to save more storing and shipping space. 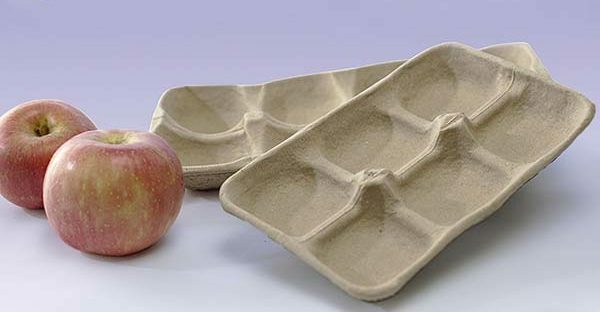 As for high-end molded pulp products, such as egg boxes, shoe trays, we often provide a hot press machine to embellish the appearance. The equipment can be provided individually. Customers can flexibly choose what they need. 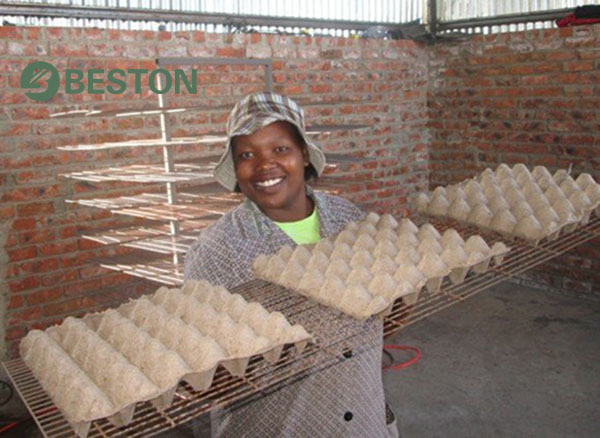 The whole egg tray production line is easy and safe to operate and maintain. Moreover, all pieces of equipment are under one-year warranty. You can choose Beston Machinery without worries. Beston pulp molding production line has many advantages, such as high productivity, easy operation and maintenance. There is no doubt that it is a wise option for investors. Comparatively speaking, to invest a small egg tray machine costs less, and it is easier to get a return quickly for customers. As a rule, three to six workers are required for a small-scale egg tray production line. 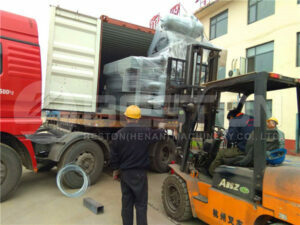 To be specific, one worker is necessary to put the raw materials into the hydraulic pulper. If necessary, one worker is demanded to reshape the products. 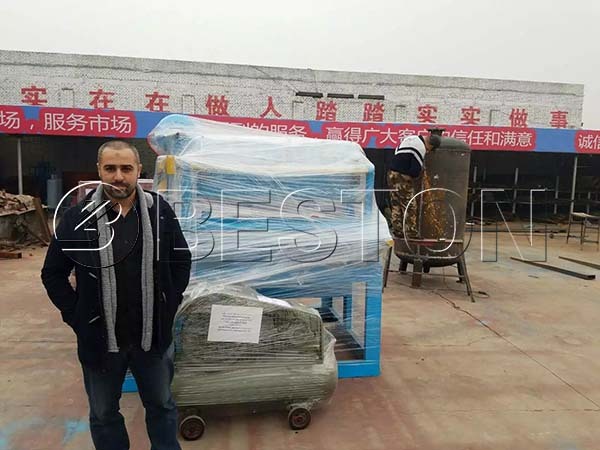 After demolding, one or two workers need to place the wet pulp molded products on the carts and pack the products after natural drying. While if the brick drying line with carts is adopted, one or two workers are required to get the carts in and out of the drying room after placing the products on the carts. The whole process is safe and easy to operate. Thus, four workers are enough for small egg tray machine. Here are videos showing the working process of small egg tray machines. What Can We Beston Machinery Offer? In order to give our clients a reasonable suggestion, we will analyze their conditions first, including usable fuel, the weather condition, space, labor force, construction materials, etc. Beston Machinery always does more than products. Except for the best-quality products and reasonable egg tray machine price, you can also enjoy the greatest service from us.